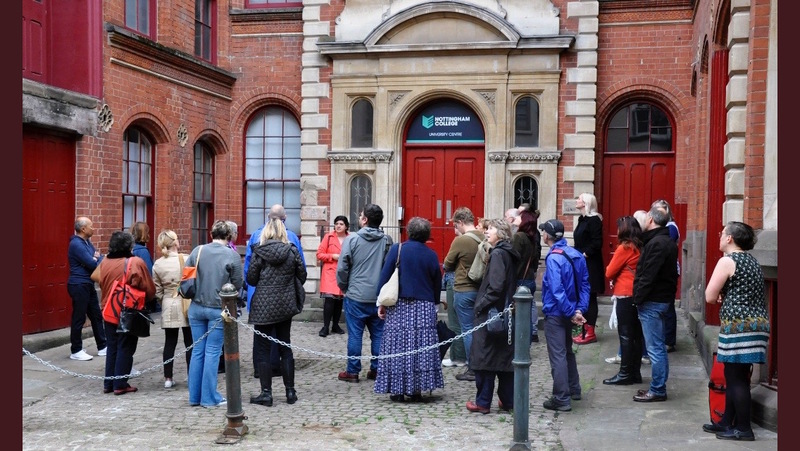 A big thank you to everyone who turned out for the second Heritage Open Days tour, Beauty in the Details, on Sunday (16 September 2018). Several people have asked if there will be more short tours like this and I’m looking at making it a more regular thing. 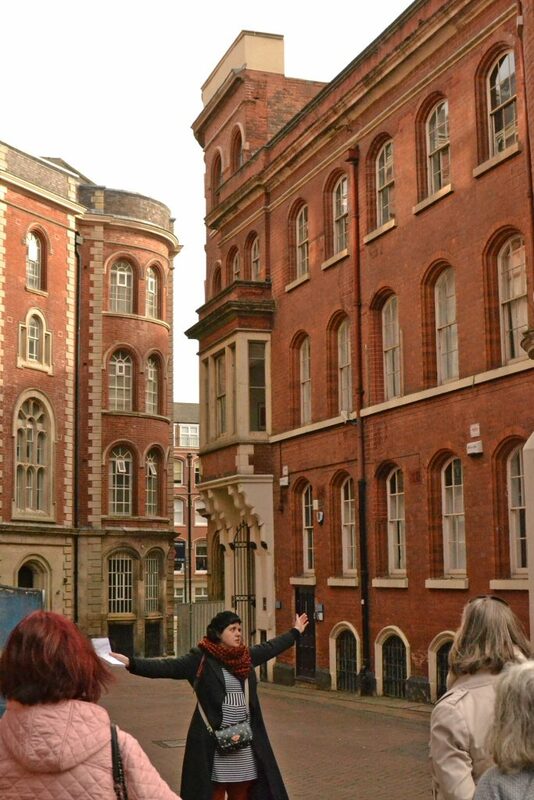 Meanwhile if you’re interested in the architecture (and history) of Nottingham’s Lace Market, and would like to commission a short tour, please contact me, Lucy Brouwer. I’m interested in exploring more opportunites and formats. More news as it happens! Thanks to Katie at Debbie Bryan for the photo. Meanwhile there’s a double bill of Watson Fothergill Walks on 30 September (just one ticket left at time of writing). I’m hoping to fit another walk in in October… sign up to the mailing list for news of future dates. 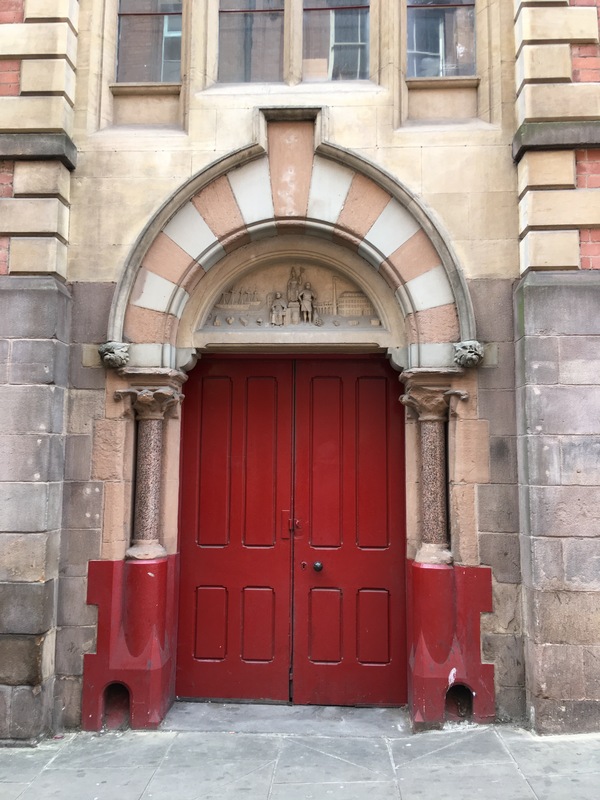 Taking a look around St Mary’s Gate in preparation for my Heritage Open Days walks, I started to notice things about the buildings that I’d never noticed before. How the modern buildings mirror the shapes of the Victorian ones, how the details on each phase of the Adams Building are subtly different, how clean the buildings are compared to when I first saw them. Taking more time to look around, I have noticed details that, when you’re rushing from A to B you often miss. Door on Warser Gate (Photo: Lucy Brouwer). Back when I first visited Nottingham as a kid, probably some time in the late 1980s, the Lace Market seemed a rather dark and neglected hinterland. Rarely would a visit into “the citeh” venture beyond the Market Square (or if I’m honest, beyond the food court in the Victoria Centre and later the racks of Selectadisc on Market Street). 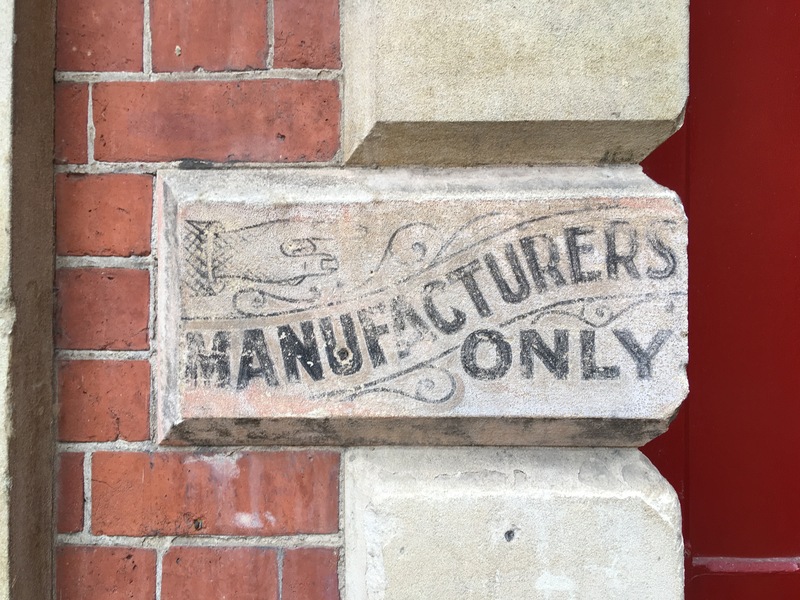 Then, the old buildings were dirty, sooty, looming presences with shut up shops and the last remnants of the textile industry. 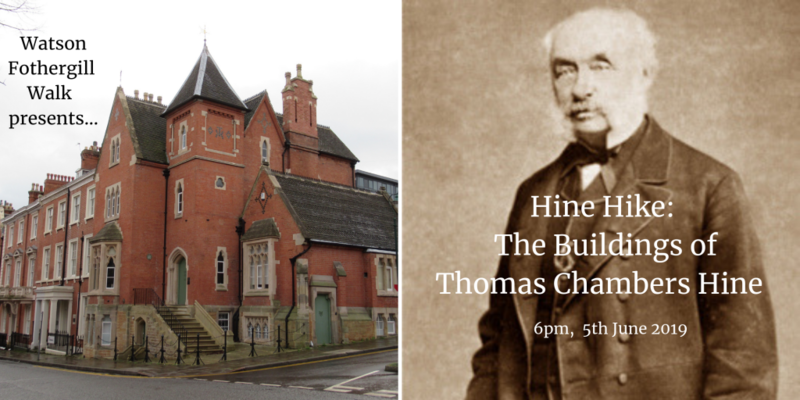 Returning to Nottingham after only sporadic visits through the 1990s and early 2000s, the conservation of the buildings is the most noticable feature. The colours of the bricks and stones catch the light on sunny days, the details are visible as they might have been when they were first built. 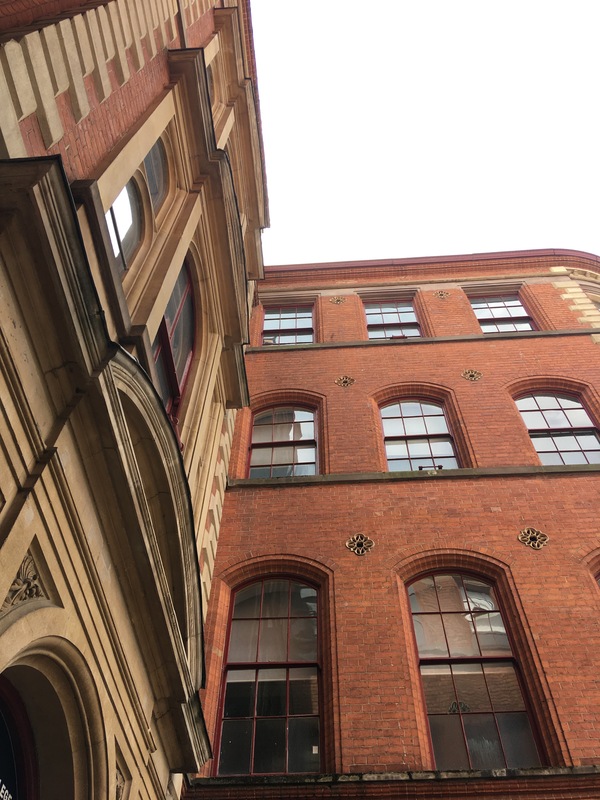 The Adams Building from St Mary’s Gate (Photo: Lucy Brouwer). Learning about the history of the place and how much it has changed has made me see the beauty in the details. 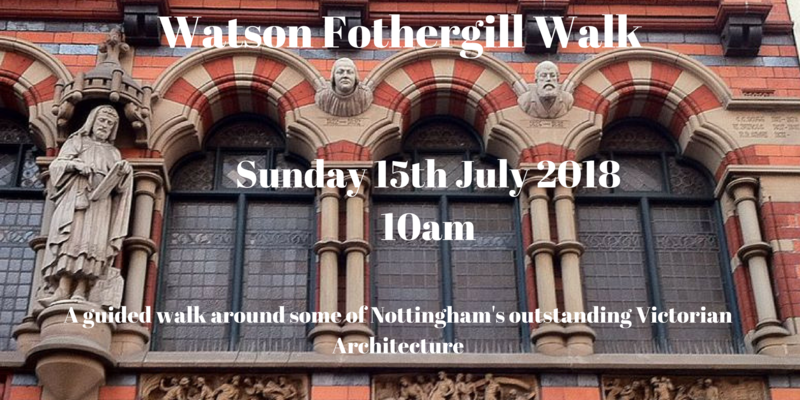 Nottingham’s most famous Victorian architect Watson Fothergill (or as he was known for the first 50 or so years of his life, Fothergill Watson) produced some of the city’s most eye catching and idyosyncratic buldings. I want to take you on a tour of some of the best of them, and learn more about the man, his buildings and the city in which they were built. 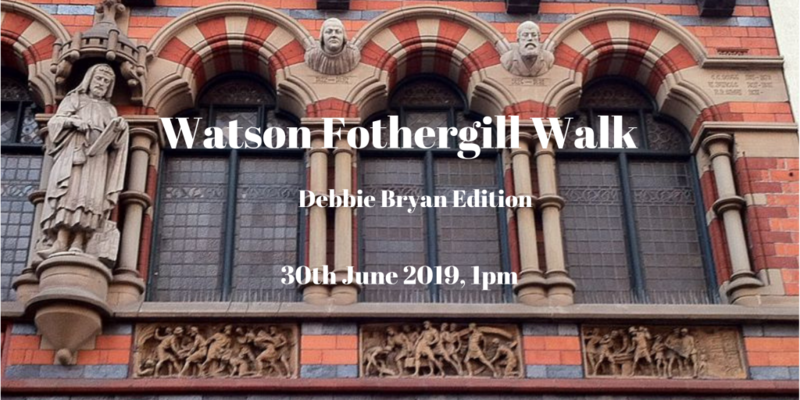 Join me for a guided walking tour of Nottingham City Centre to explore the history of some of the most original and beautiful buildings of the Victorian era.